In order to fight deflation the European Central Bank is still continuing the QE (Quantitative Easing) program. The ECB is effectively buying all kinds of debt and is printing new money to pay for these bonds. The ECB is loading up government bonds on its balance sheet. The bank has even bought non-investment grade corporate credit (junk). 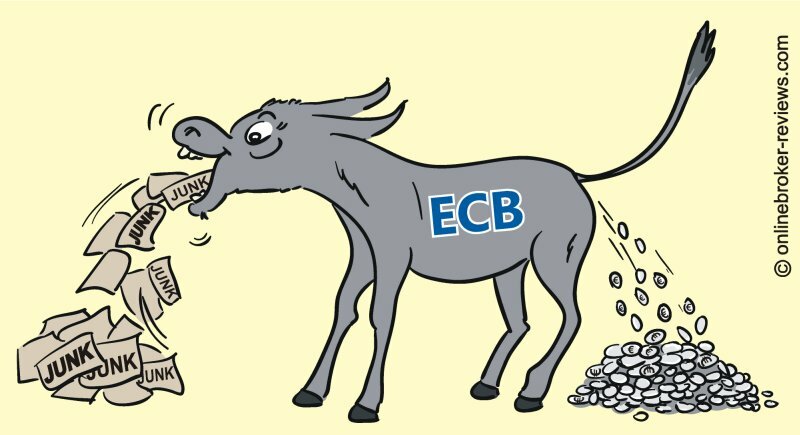 The ECB is creating new money out of thin air and is injecting about 80 billion euros per month in the financial system.